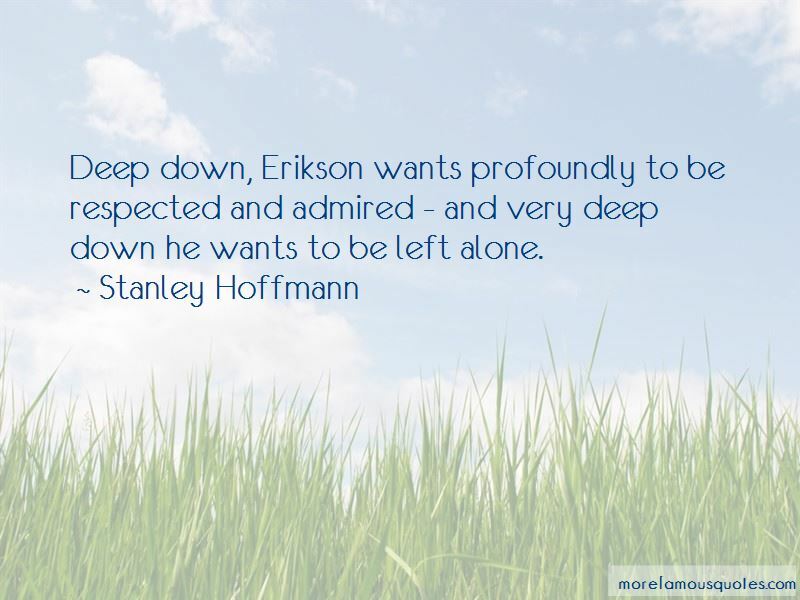 Enjoy the top 3 famous quotes, sayings and quotations by Stanley Hoffmann. It is only in the depths of crisis and despair that the fear of losing one's personality breeds millennial hopes of rescue: otherwise, complacency prevails. Arms control has to have a future, or none of us does. But it doesn't necessarily have to come in big packages of 600-page treaties. 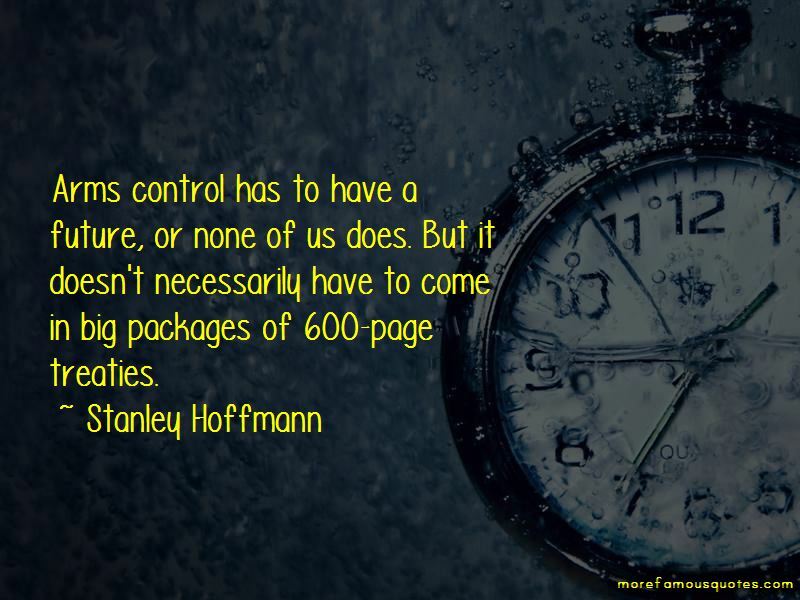 Want to see more pictures of Stanley Hoffmann quotes? 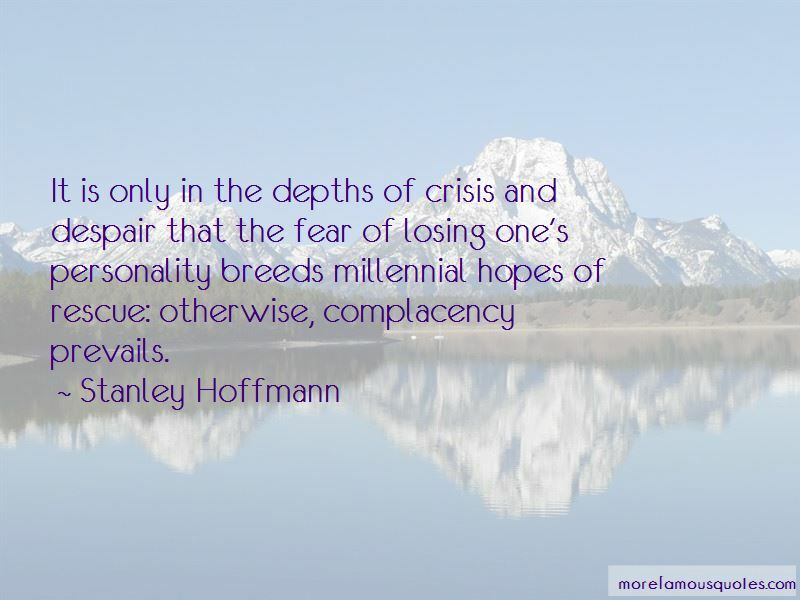 Click on image of Stanley Hoffmann quotes to view full size.